Just when you thought acne breakouts were bad, post-pimple hyperpigmentation also known as acne scars are just as worse, maybe even more. I mean, who wants to deal with scars on their face anyways? Although, acne scars aren’t totally impossible to get rid of, they can last from a few weeks to a couple of months! Yikes! Lemon Juice. Lemon juice contains natural skin bleaching properties, and the vitamin C in lemon helps in rebuilding collagen. Apply lemon juice and water directly onto your scars, leaving for 15 to 25 minutes, then wash off the face (remembering to moisturize right after). If you do this once a day for two to three weeks, it will effectively lighten your acne scars. Not only scars, but if you have swollen pimples, lemon juice can also help reduce its redness too. If you want a more effective solution, mix it with honey. Honey. As mentioned above, to get an effective acne scar solution, use honey. Honey is a great natural solution for clearing up pimples and reducing the red marks they leave behind. Honey contains antibacterial properties and helps to soothe the skin and reduce inflammation. Using a q-tip or cotton swab, apply honey directly on the scar. Baking Soda. Baking soda is a great remedy to use to exfoliate the skin and minimize the appearance of acne scars. Mix one teaspoon of baking soda with two teaspoons of water to form a liquid paste, and apply the paste all over your face using circular motions to rub into skin for about two minutes. Rinse off with warm water and pat dry. Aloe Vera. 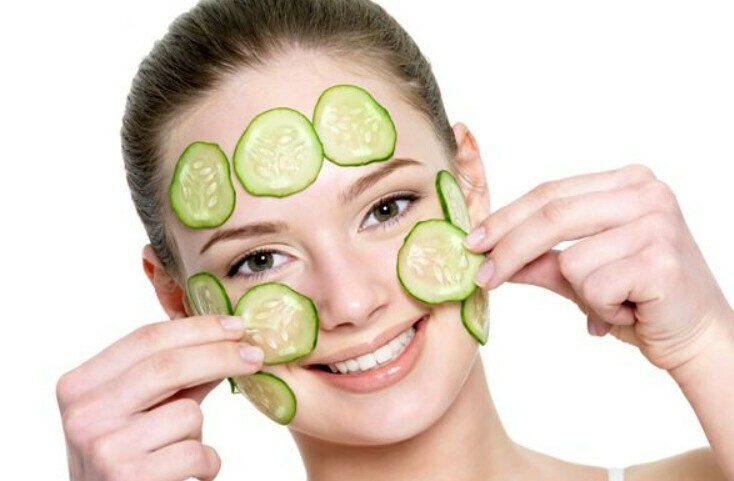 Aloe Vera soothes the skin while also renewing damaged tissues boosting the healing process. The best way to use aloe vera is to use fresh gel like substance directly from the aloe vera leaf than using aloe vera products in the drugstore. Apply the gel-like sap directly on the scarring, and there is no need to wash it off. If you’d like to boost the scar treatment, you can mix a drop or two of tea tree oil into the aloe vera gel before applying. Ice Cubes. Ice cubes are a very simple, not to mention totally doable home remedy which can easily help to fade acne scars by soothing the inflamed skin and reducing redness. Just wrap an ice cube in a clean cloth or piece of paper towel and hold against the scarred skin for a minute or two, until the area starts feeling numb. For another great alternative, freeze some green tea in an ice cube tray and once frozen, place against acne scars. Green tea contains anti-inflammatory properties which complement the cooling effects of the ice. Apple Cider Vinegar. Apple cider vinegar always does wonders for skin, it helps manage the pH of your skin, improving its appearance over time and helping to reduce the appearance of red marks and scars. Dilute the vinegar and mix with water, then apply it to the affected area every day with a cotton ball until the scars begin to fade. Tea Tree Oil. The most effective essential oil; it contains excellent antiseptic, antibacterial, antifungal and antiviral properties. With tea tree oil’s anti-inflammatory effects, your acne scars will be diminished. The oil also provides moisture and helps to hydrate the scar. For the best results try Keeva Organics Acne Treatment Cream that contains tea tree oil. Cocoa Butter. Cocoa butter is filled with moisturizing properties, which helps to heal scars and prevent them as well. Cocoa butter not only penetrates the top layer of your skin but it goes deep within the skin into the dermis. Your skin will maintain a well-hydrated glow. Before heading to bed, wash your face properly, then pat dry. Then take some cocoa butter and for a couple of minutes, massage it onto your face, leaving it overnight and washing it off in the morning. Do this daily.